To complete the staycation experience at the Ritz-Carlton, Millenia Singapore, I strongly recommend checking out attractions around the Marina Bay – after all, these attractions such as the ArtScience Museum, Marina Bay Sands Integrated Resort, Esplanade-Theatres on the Bay and the Singapore Flyer are located just minutes from the hotel. You can retreat into the comfort of your hotel room conveniently if you are tired and hot from exploring Marina Bay. 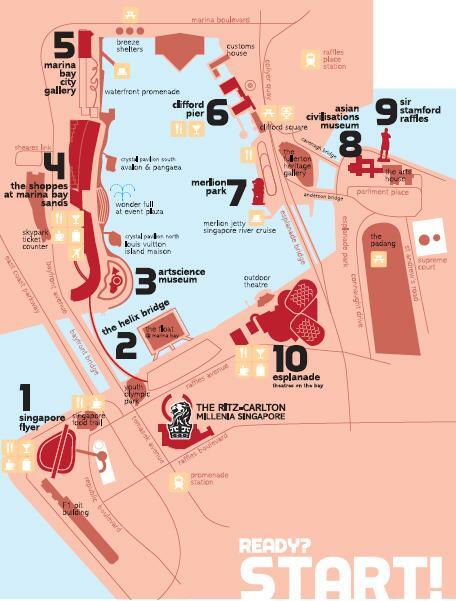 With its proximity to that many attractions around Marina Bay, the Ritz-Carlton team had came up with a booklet on the Marina Bay Discovery Trail which laid out a map of historic and cultural sites for you to explore around the Marina Bay area. Even for Singaporeans like us, we find this trail quite informative and interesting as we pass by some of these attractions daily enroute to work but haven’t tried to understand their history and significance. You can go in any order you want (need not stick to the suggested sequence in the booklet). We started out with the Sir Stamford Raffles Landing Site. The statue of Thomas Stamford Raffles (1781 – 1826), an agent of the British East India Company, marks the part of the riverbank that is believed to be his first landing site. 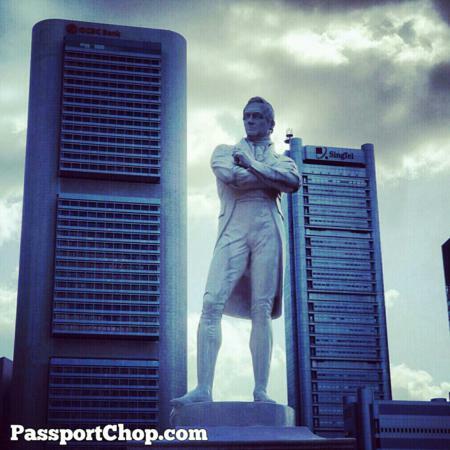 Raffles had travelled to Singapore in 1819 in the hopes of setting up a free British port and a halfway mark for traders along the China-India trade route. Of course, the riverbank he stepped foot on had changed tremendously over the past 100+ years – with the vibrant Boat Quay and the bustling Financial District just behind the statue. Other attractions nearby include the Arts House – once Singapore’s first courthouse and former parliament house, this historic building from the 1820s is now a space dedicated to the development and promotion of the arts. The Asian Civilisations Museum is located about 200 metres from here (2 minutes walk). One of the National Museums of Singapore, the museum showcases the rich cultures that make up Singapore’s multi-ethnic society. The Merlion Park (600 metres from the Asian Civilisations Museum- about 8 minutes walk away) is home to the iconic Merlion, a 8.6-metre high, 70 tonne statue with a lion’s head and a fish’s body. 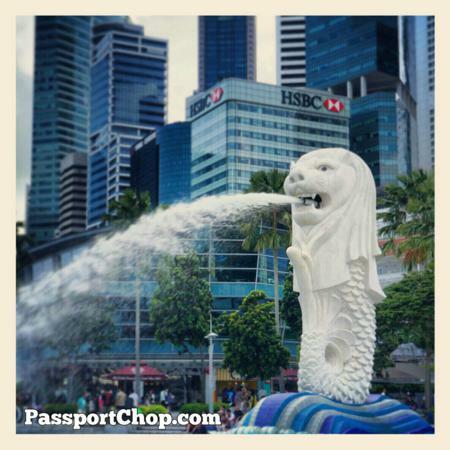 The Merlion, a symbol of Simngapore, reflects the city-state’s humble origins as a fishing village and its original name, Singapura which means “Lion City”. At the Merlion Park, there is a viewing deck which stretches over the Singapore River with the city skyline as a backdrop. 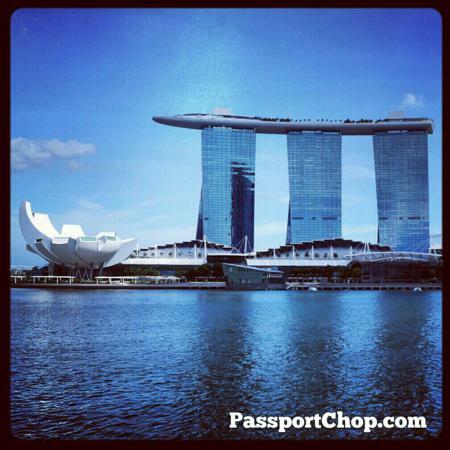 Here you can get a great view of the Marina Bay as well as the front view of the Merlion. 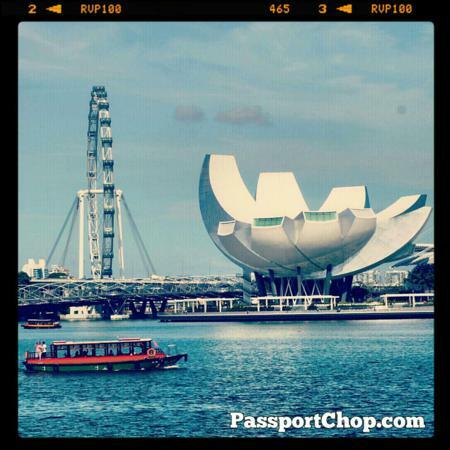 The picture below showcases 3 icons of Singapore Marina Bay – the ArtScience Museum, Singapore Flyer and the signature bumboats of the Singapore River. The bumboats were used to carry cargo from ships anchored from Marina Bay to warehouses along the Singapore River (at the current Boat Quay and Clarke Quay sites) but now are tourist attractions in itself. You can take a bumboat ride along the Singapore River for the Singapore River Experience (40 minutes – adult/child fees: $17/$10) tour. 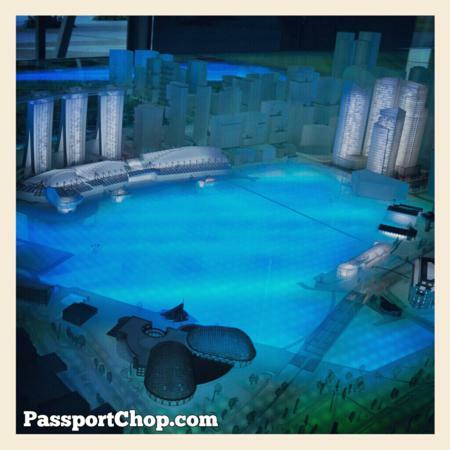 Also from the same viewing deck at Merlion Park, you can catch a glimpse of the Marina Bay Sands – the Shoppes at Marina Bay Sands has more than 300 shops within 800,000 square feet of retail and restaurant space – offering an experience shoppers only dream about. This spot at the viewing deck is also a good place to catch the free Wonder Full light and water show. For 13 minutes, be prepared to be dazzled by an array of dancing lights and streaming water screens, all choreographed to a moving musical score. Performing Hours are 8pm and 9.30pm daily (additional timing at 11pm on Friday and Saturday). Another view from the Merlion Park viewing deck – Just in front of the Ritz-Carlton, Millenia Singapore is The [email protected] Bay (also known as the Marina Bay Floating Platform) is the world’s largest floating stage. The floating stadium had served as a venue for events on the waters of Marina Bay e.g. sports, concerts, exhibitions, and the arts and cultural performances and of course the National Day Parade. 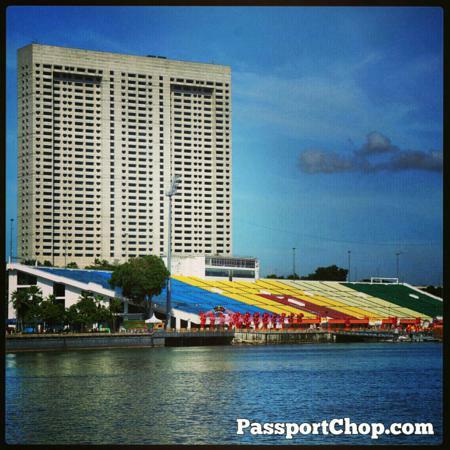 It is also part of the Marina Bay Street Circuit for the Formula One Singapore Grand Prix and served as the venue for the inaugural 2010 Summer Youth Olympics opening and closing ceremonies. To see the transformation of the Marina Bay area over the past few years – the Marina Bay City Gallery is a must-visit. This 2-storey building features the history behind Marina Bay, mapping its timeline from the early vision of urban planners to its future developments through interactive displays such as the one below. Free admission – open from 10am to 8pm daily (closing hour extended to 9pm on weekends and public holidays). 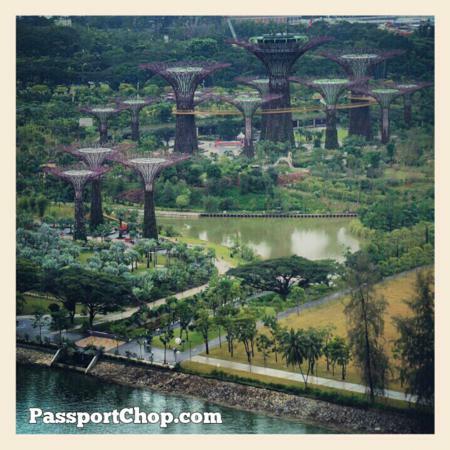 Although not part of the Marina Bay Discovery Trail – the Gardens by the Bay is still a must-go – here you can see a diverse range of plant life around the world – admission to the Gardens by the Bay is free and you can roam around the gardens (or pay an admission fee to the Cooled Conservatories to check out exotic species of plants). 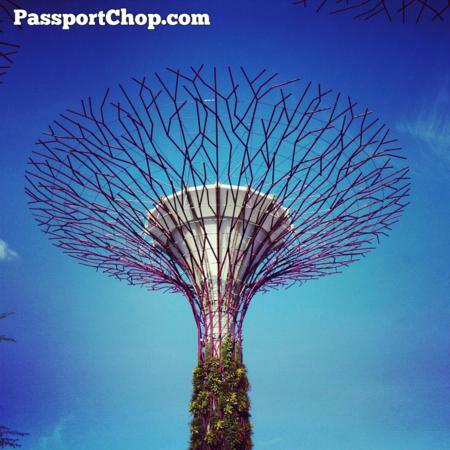 The SuperTrees are one of the highlight of the Gardens by the Bay – you can look up in awe at dramatic vertical plant displays along these SuperTrees or enjoy a bird’s eye view from the 22 metre high OCBC Skyway. When night falls, the SuperTrees come to life with a spectacular light and sound show at 7.45pm and 8.45pm nightly. 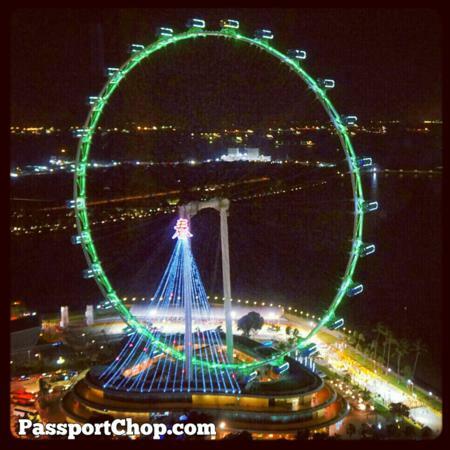 The Singapore Flyer is one of the world’s largest observation wheels – standing at 165 metres high from the ground. At the Flyer, you can enjoy 360-degree views of iconic and historical landmarks along the Singapore River. For guests with Ritz Carlton Club privileges, they can enjoy complimentary limousine service from the hotel to many attractions on the trail – Gardens by the Bay, Marina Bay Sands, Singapore Flyer, Esplanade – Theatres by the Bay, Merlion and Asian Civilisations Museum, from 7 a.m. to 11 p.m. daily (subject to availability). Simply approach the Club Concierge for a copy of the Marina Bay Discovery Trail, in which other exciting attractions, accessible by limousine service, are also highlighted. The Ritz-Carlton, Millenia Singapore’s Time to Getaway package is available from Fridays to Mondays from 1 to 31 March. With Time to Getaway, guests enjoy $20 off their package rate every hour after 2pm that they opt to check-in, up to a maximum limit of $80 off i.e. Guests will also enjoy an in-room breakfast for two and $50 hotel credit which can be used for dining, at the retail shop and spa. The Ritz-Carlton, Millenia Singapore (Address: 7 Raffles Avenue Singapore 039799) is a 10-minute walk through Millenia Walk from Suntec City and nearest MRT station – Promenade Circle Line MRT Station. The hotel is approximately a 20-minute drive from Changi Airport by taxi or hotel limousine. The Ritz-Carlton, Millenia Singapore’s services and facilities include restaurants and a lounge serving Chinese, Western and international favourites; a Fitness Centre with swimming pool, indoor gym and treatment rooms; and a business centre. This looks like an exciting blog. Thanks Zhiqiang for writing up this beautiful article. Really good article. Looking forward for more posts like this. Excellent blog. That’s exactly what I was looking for. Your mode of describing all in this paragraph is really nice, all be able to easily know it, Thanks a lot. urging сommented herе, Ι аm аctuаllу enjoying by these. Hi there everyone, it’s my first visit at this web site, and paragraph is really fruitful in support of me, keep up posting such posts. I’m impressed! Very helpful information specifically the last part 🙂 I care for such information a lot. I was seeking this certain info for a long time. Thank you and best of luck. your site and take the feeds also? Really good article. keep it up!